Despite challenges due to her race, Raye Montague achieved her dream of becoming an engineer. This is an inspirational story of determination. The end pages of the book provide additional information about Raye's life. Sam takes a nighttime journey and in the process teaches readers about different kinds of maps. The book features a variety of maps and the author includes a bit more information about each at the end of the book. Part informational and part narrative, readers will learn from this book and also be amused by the adventurous, curious cat. This book will be helpful when teaching young students about the uses of maps. 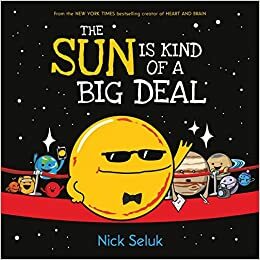 This book gives an introduction to the sun and the jobs that it does. It's both factual and humorous. The illustrations are really amusing, too. All of Olive's friends have formed groups to participate in her school's annual variety show. Olive hasn't been invited to be a part of anyone's group and is feeling left out and unsure of how she fits in among her friends. With the help of a supportive family member, Olive learns about the challenges of friendship and gains confidence. The book, written in graphic novel format, is relatable and will help readers see possibilities for navigating the challenges of friendship. I received an advance reading copy of this book thanks to the publisher, HMH Books for Young Readers. This book publishes in January. Coyote and her dad, Rodeo, have been traveling around the country in a school bus for five years. They live on the road to leave their past, the loss of Coyote's mother and sisters, behind. When Coyote learns that the park in her hometown is going to be demolished, she knows she must return to keep the promise she made to her mother and dig up a memory box buried before her mother and sisters died. The passengers Coyote and Rodeo pick up along the way not only become friends, but help Coyote on her journey. This is a book that will tug at your heart strings. It's a story about dealing with grief and letting go of the past. It's also a story that shows we all need help at times in this world and we can also be the help that others need. Engaging and beautifully written, this book draws you in and sticks with you after you've finished it. I received an advance reader's copy of the book thanks to the publisher. I'm looking forward to The Remarkable Journey of Coyote Sunrise (and was bummed to miss getting an ARC at NCTE). 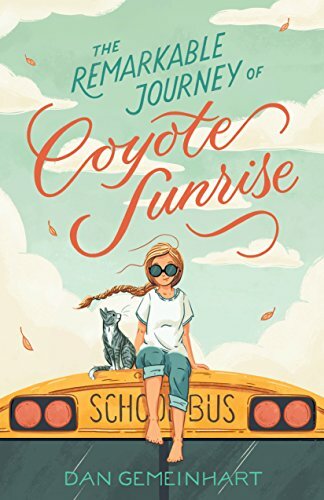 I had a list of must-gets at NCTE and The Remarkable Journey of Coyote Sunrise was one of them. It publishes in January so not too long of a wait. Well, Lisa, I want to read every one of the books you've shared today. I know about the new Gemeinhart, and it really does sound good. 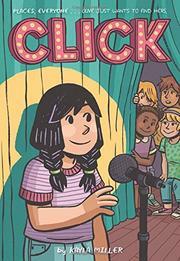 I know my older granddaughter will like Click, & I'm going to enjoy Mapping Sam! Thanks for every one! I've shared Click with a few students and it's getting good reviews from them. I have a digital ARC of The Remarkable Journey of Coyote Sunrise and I'm really looking forward to reading it. Thanks for sharing your thoughts on it. Have a wonderful week! You will love it, but you might also need some tissues nearby. So many wonderful books on your list are now going on mine! 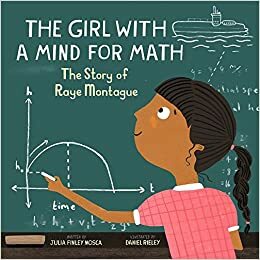 I'm always excited to learn about books that pair girls and math! Girls and math is a good combination especially when it's an inspiring story of determination. The Girl with a Mind for Math looks so good! I was never much for math growing up, but part of that was the general cultural assumption I grew up with that math wasn't really for girls, and I'm so glad to see that terrible assumption is being smashed to pieces!! I was never good at math either. It's great to see books featuring girls with an interest in fields such as math, science, and technology. I've had Coyote Sunrise on my list since I recall Gemeinhart talking about it on social media. While I'm super envious of all you ARC carriers, I'm so thankful to get a little glimpse into all to look forward to! Thank you, also, for sharing Click by Kayla Miller! I need to go make sure I have this one on my list. Have a wonderful reading week, Lisa! Reading about all the up and coming books definitely helps one build a tbr list. Enjoy the week! Yes, I also have Coyote Sunrise on my list as well. All of Dan's books have been well read at school. I am also interested in The Sun is Kind of a Big Deal, as it was not at my Book Fair as advertised. I loved Sun. My son loves it, too! 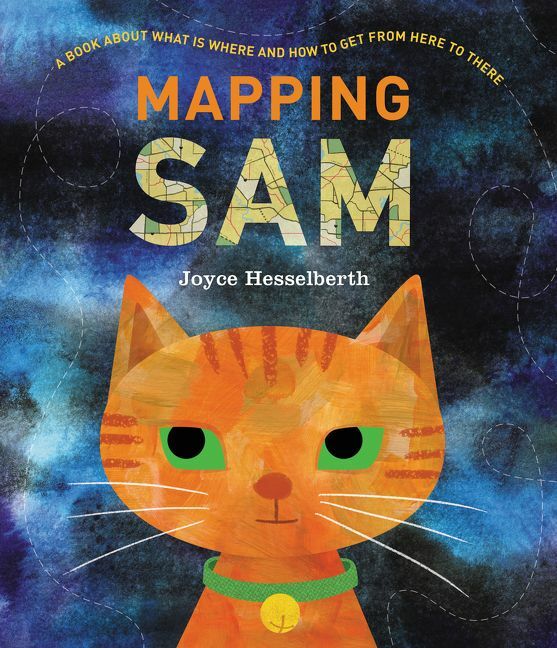 I also appreciated Mapping Sam--although I feel like cat owners will love it even more than me. I do love maps! The Girl With a Mind For Math looks incredible. I will be buying that one, so thank you! We missed getting a copy of The Remarkable Journey of Coyote Sunrise at NCTE - Sounds amazing! Can't wait to read it.